Harbour Hill, where the building where the man's body was found. GARDAÍ IN COBH are investigating the sudden death of a man in his late 40s. 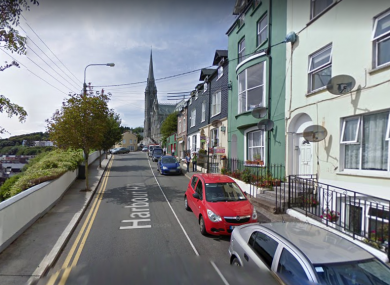 The man was discovered at the foot of a stairwell in an apartment at Harbour Hill, Cobh at approximately 5pm this evening. The local coroner and the Office of the State Pathologist have been notified. The scene has been preserved and Assistant State Pathologist Dr Margaret Bolster is expected to examine the body on site later this evening. Gardaí are awaiting the results of a post-mortem examination before determining the direction of their investigation. Email “Man in his 40s found dead in apartment in Cobh”. Feedback on “Man in his 40s found dead in apartment in Cobh”.